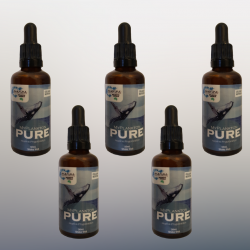 Marine Phytoplankton, Plankton for Pets – No fillers. No artificial colours, flavours, sweeteners or preservatives. Non-gmo. Vegan friendly. Phytoplankton are tiny, microscopic plants that are the base of the food chain in the ocean. 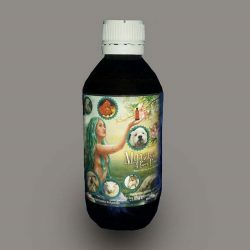 All ocean life depends on phytoplankton, when it comes to our pet’s health, phytoplankton isn’t just any old seaweed, it is seriously potent! 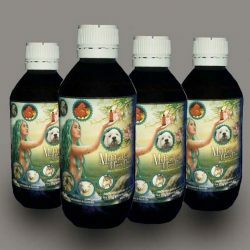 ‘MyPlankton™ 4 Paws Plus+’ has been carefully formulated, focusing on the general health and well-being of most animals supporting their entire body, overall health and longevity including – gut health – mobility/joint health – improved cellular function (healthier organs) – decreased inflammation – digestion support – manage skin issues and allergies – increased energy – decreased hyperactivity – decreased anxiety – detoxification. Max, Bella and Sam pictured below have 2.5mL of ‘MyPlankton™ 4 Paws Plus+’ every second day and they are really liking it, although Max is not so happy about posing for photo’s (Max with his back to the camera). 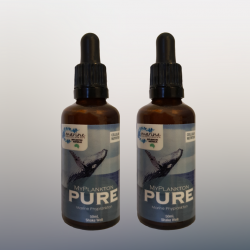 All 3 dogs enjoy their plankton liquid and we have seen some significant improvements in their general health and well-being, we have noticed especially their gut health with less bloating and flatulence (that’s got to be good! ), their eyes are brighter and more alert, eating much better and generally are more content and happy. 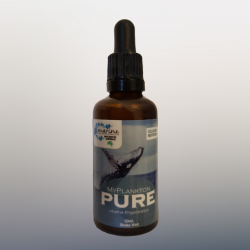 Our phytoplankton is grown sustainably, farmed organically in large shallow ponds in clean Australian marine waters collected from natural tidal catchment’s and use pure sunlight as an energy source. No herbicides or pesticides are used. The phytoplankton are harvested and dried mechanically, without the use of chemicals or solvents. 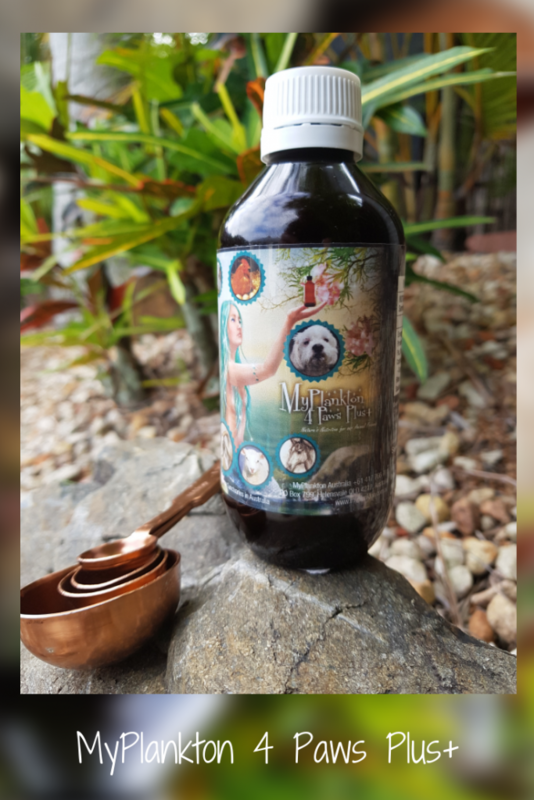 (Certified Organic USDA) (Australian Certified Organic), No algal toxins, pesticides, herbicides or preservatives. 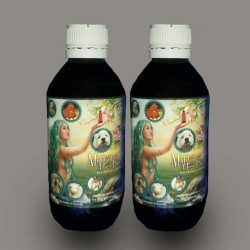 Certificate of Analysis provided with every batch harvested, 100% pure and natural, Vegan friendly, non-GMO product. 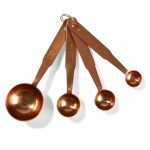 A set of 4 measure spoons and a full ‘Product Information Fact Sheet’ is included with every purchase of ‘MyPlankton™ 4 Paws Plus+’ Please make sure that only measured amounts as directed are given to your animal. 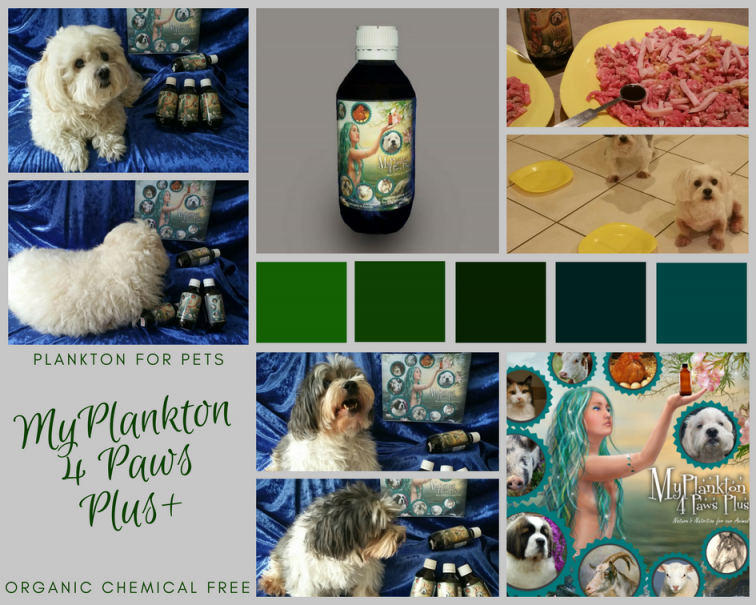 ‘MyPlankton™ 4 Paws Plus+’ is a concentrated formulation and giving your animal more than what is suggested is not necessary. Please make sure that the supplied Information and Fact Sheet for the product is read thoroughly before administering to any animal.